In 2016, the Texas state legislature bluntly confronted their “broken” child welfare system and developed a series of reforms. While some of the changes had to do with improved processes, the real lesson (often revealed but not always learned) is that by far the most important predictor of quality in human services is the quality of the humans that provide the services. Due to low pay, excessive caseloads, and poor training and support, Texas Child Protective Services (CPS) workers had been turning over at alarming rates. This, of course, only accelerated the burnout issue for the remaining workers. The result: vulnerable children suffering abuse and neglect made worse by inadequate prevention and untimely responses to abuse reporting. Tejal Patel from the Texas Department of Family and Protective Services (DFPS) identifies that CPS caseloads, which should be in the range of 14–17 per month, had risen to almost 22 at the height of the crisis, meaning the system was at about 50 percent over capacity. 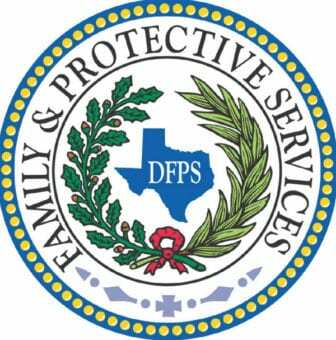 The first step in addressing this increasingly dangerous situation came in the form of $150 million in emergency funding in December 2016, allowing DFPS to hire 829 new caseworkers and give a $12,000 annual salary increase to existing caseworkers. Caseloads are now averaging 15 per month, well within the ideal range as identified by Patel. Some of the early results include a more-than-four-percent improvement in the number of children visited by a CPS worker in the expected 24­–72 hours after a report of neglect or abuse. It’s still well short of the 100 percent that children deserve, but the response rate is now at 85.7 percent and climbing. Love Fosters Hope, a Montgomery County-based nonprofit that provides camps, mentoring, and outreach programs to foster children, was one of the leading advocates for CPS reform. The pursuit of continued improvement in Texas child protective services will of course require more than salary increases and reduced caseloads. Advocates have identified education and training as a fundamental issue going forward, as well as accompanying reforms to systemic processes. “There needs to be required trauma training for caseworkers and foster families,” Mericle says. “There’s been so much research on how trauma impacts these kids, and if everyone involved understood trauma better, they’re going to do a better job.” (For more on how adverse childhood experiences and related trauma impact children, see this NPQ article). Advocates are also warning that while current improvements may be addressing some of the more egregious systemic deficiencies, as service delivery improves, one of the consequences will be a more engaged citizenry that will be more willing to report abuse and neglect if they believe that their interventions will result in real action. Some of the most effective voices for child welfare reform are those who have directly experienced the foster system and its deficiencies. Victoria Rodriguez, 21, was part of the system from infancy to her teenage years and is pushing for improved screening of foster families.